t e s s e t e r r a to be released on April 26th, 2019. Quickly to follow are several international show dates and jazz workshops taught by Hobgood, spanning from central Italy to south Australia. The tour’s CD Release Concert is set for April 25th at The Rubin Museum of Art. 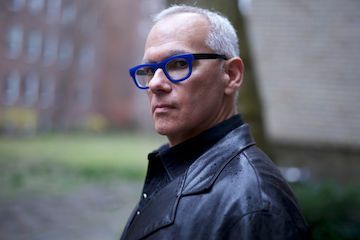 Hobgood’s album t e s s e t e r r a embodies the signature style of composing and arranging that Hobgood has become known for: imaginatively innovative yet melodically memorable. The album consists of seven standards, composed for a jazz trio and string quartet. t e s s e t e r r a features unique and exquisite arrangements of legendary hits by Sting, Jimmy Webb, Crosby, Stills & Nash and more.